The Marvel NOW! 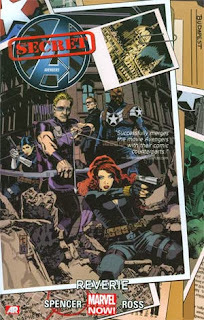 version of Secret Avengers, as presented in the book’s first trade, Secret Avengers Vol. 1: Reverie, does not use quite the same format as its predecessor. Steve Rogers and later Hawkeye commanded a tight group of covert heroes; this version is far more fluid in how it utilizes its assets. One version isn’t better than the other; in fact, with the massive amount of Avengers books on the shelves, Secret Avengers sets itself apart by being a "non-team" book of the highest caliber. After a brief catch-up thanks to the Marvel NOW! 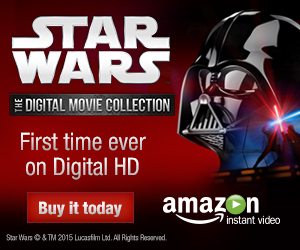 Point One issue, the first issue reveals one of the book’s target audiences: fans of the films. This is no surprise -- Avengers Assemble and Indestructible Hulk both cater to new fans -- but this issue uses on-screen concepts almost entirely. This is actually a smart move as Nick Spencer’s use of Hawkeye, Black Widow, Maria Hill, Coulson, and Nick Fury Jr. allow him to slowly introduce comic-centric concepts later on. For instance, the bad guy is new (and possibly connected to Warren Ellis’ Secret Avengers: Run The Mission) and there’s a cameo from Druid of the Secret Warriors. The first issue also introduces a key element of the book: mind-erasing nanotechnology, used so that the heroes employed by S.H.I.E.L.D. can disavow their actions. “Reverie” is the word which activates and deactivates the tech. Most readers (myself included) are far enough removed in time from Identity Crisis for a mind-erasure plot device to not trigger overly strong emotions. At the same time, Spencer doesn’t take the technique for granted; Hawkeye repeatedly has qualms about using it and about his participation in the Secret Avengers Initiative. It also opens up storytelling opportunities, and Spencer and artist Luke Ross use memory manipulation to change the order of events and play tricks on the reader. Issue two sees the team recruiting a villain, Taskmaster, who can imitate the movements of superheroes and has traditionally used this for profit. S.H.I.E.L.D. needs to set up Taskmaster as part of the newly-revived AIM, led by a calm yet sadistic Scientist Supreme and headquartered on their own UN-recognized nation, the island of Barbuda. Once Taskmaster is one of the Island’s ruling council, the mind-wipe technology comes into play again. “Tasky” has tried to gain legitimacy before, and I like the irony that in this case, he technically has ... but he doesn’t remember doing so unless his memory implants are activated. The third issue introduces the comic’s most controversial character: Daisy Johnson, Director of S.H.I.E.L.D., who's only nineteen years old. Having her in charge was a consequence of the end of Secret Warriors, and Nick Spencer swiftly undoes this silly plot concept within three issues of Secret Avengers to the benefit of the Marvel Universe. It doesn’t help that Johnson is almost physically indistinguishable from former S.H.I.E.L.D. director Hill; only flipped hairstyles and a white jumpsuit versus a black one keep them apart. Spencer also brings in Senator Robert “Rebel” Ralston, a former Howling Commando and longtime S.H.I.E.L.D. ally. He goes down in a blaze of glory in the third issue in one of the rare occasions where bringing a character back to kill him worked out effectively. More characters keep getting reintroduced, starting with Mockingbird, the ex-wife of Hawkeye who was resurrected (sort of) in Secret Invasion. To make her not feel redundant by being on a team with Black Widow, she’s been given “Camo-Tech,” allowing her to imitate others with perfect holograms. Not only is this fitting for her name, but it also fits into Spencer and Ross’ unreliable storytelling conceits. Bruce Banner helps out in issue four as both a scientist and as the Hulk, taking on a flock of sentient Iron Patriot drones stolen by AIM. There’s a massive twist at the end of issue four which makes it my favorite individual story in the collection. I can’t spoil it; all I can say is that it takes both classic Hulk tropes and story elements from Indestructible Hulk and turns them both on their head. Spencer writes Secret Avengers as a continuous tale, and unfortunately, this means that the trade ends with part one of a three-part story. Hawkeye’s unwillingness to kill is a factor, as it was in Hawkeye: My Life as a Weapon, in the story “The Tape” as Daisy Johnson orders the assassination of the Scientist Supreme. Spencer leaves open whether the assassination actually happens; the abrupt ending will make an uninformed reader wonder why James Rhodes has a cameo in the book or why the Iron Patriot plot isn’t wrapped up, but both elements will be dealt with in the next trade (to great effect). Luke Ross was an ingenious choice for the artist. Combined with Matthew Wilson’s colors, he’s able to set the right tone with suitably dark but still readable artwork. Ross has strong self-inking skills (although some of the faces could use a bit of work) and knows when to leave space for the colors to be put in afterwards. In a use of the advantages of digital lettering, the “memo” lettering boxes from Indestructible Hulk are seen in issue four, providing a nice thematic link. At NYCC, it was revealed that Secret Avengers will see another reboot. I’ll be sad to see Spencer and Ross leave, because Secret Avengers: Reverie is an enjoyable book for both new and old fans. The use of AIM here helps set up elements in Infinity ... and the status quo after Infinity is what will probably necessitate the reboot. Next week, we transition from Hulk to Hawkeye with a look at his (and her) next collection.